the interpretation is up to you – from a song, to a dance, to instruments. I have chosen a christmas theme for my interpretation. My piece is a canvas to decorate my home with. I have been so inspired lately by people working on canvas so I decided to give it a go. This one is a 9″ x 12″ piece. inked, painted and stamped some more. Then stencilled into the corners, and built up with texture paste and painted some more. 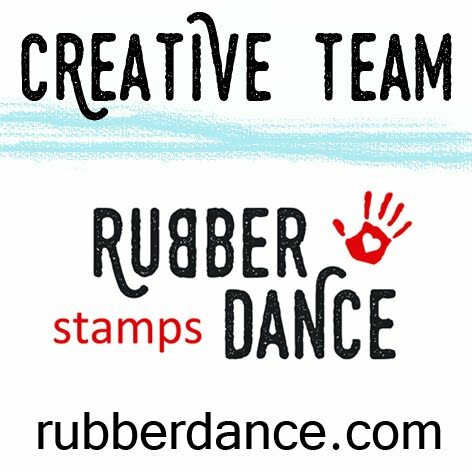 The bauble stamp is a new one from Stampers Anonymous which I have coloured with distress markers and coated with clear embossing powder. which I also used to highlight other textured areas. …and rhinestones to finish with! This is a close up of some of the detail. I live your canvas Dot and it will surely look beautiful displayed in your home over Christmas. The texture paste has created fabulous dimension as have the baubles and beads. A great make my friend. 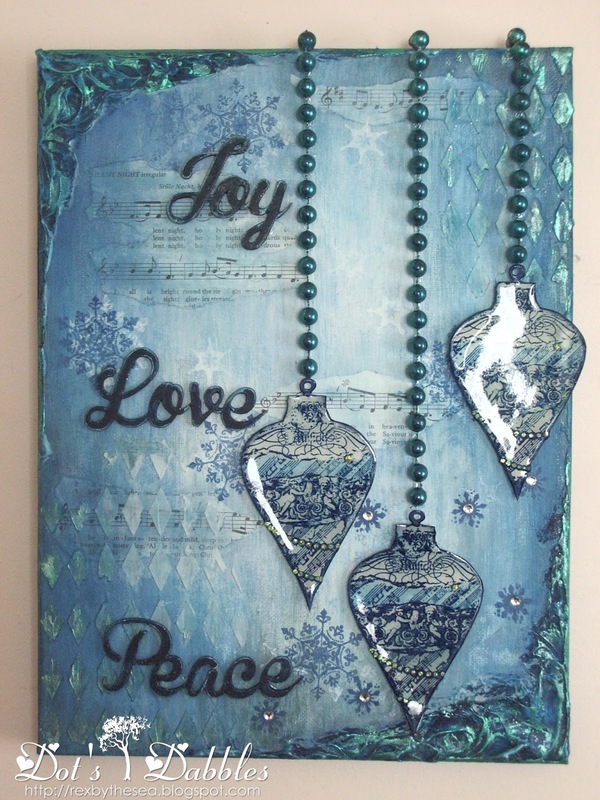 Gorgeous canvas, love the details and the beautiful baubles. How lovely you actually created this for your own home. So often we create with the intention of gifting the items. Gorgeous canvas and fantastic decoration for your home. A great color scheme. Beautiful canvas, Dot! Love the ornaments and all the luscious texture! Those corners are really beautiful! Happy Sunday! A really beautiful canvas Dot which will be such a gorgeous decoration. Just love all the textures and those fabulous baubles. Glad you enjoyed the inking technique too. Gorgeous canvas work ! Love it ! Hi Dot, This is gorgeous, I love the colours and the different layers of colour and texture and those beautiful corners! This is beautiful. Love using blues for the holidays. Great layers.thanks for your sweet comments on my blog, too. Gorgeous Christmas creation. Thank you for joining us at Divas by Design this week. O, this is so beautiful, LOVE those embellishments, did you also make them yourselve? … can't find it in the text. 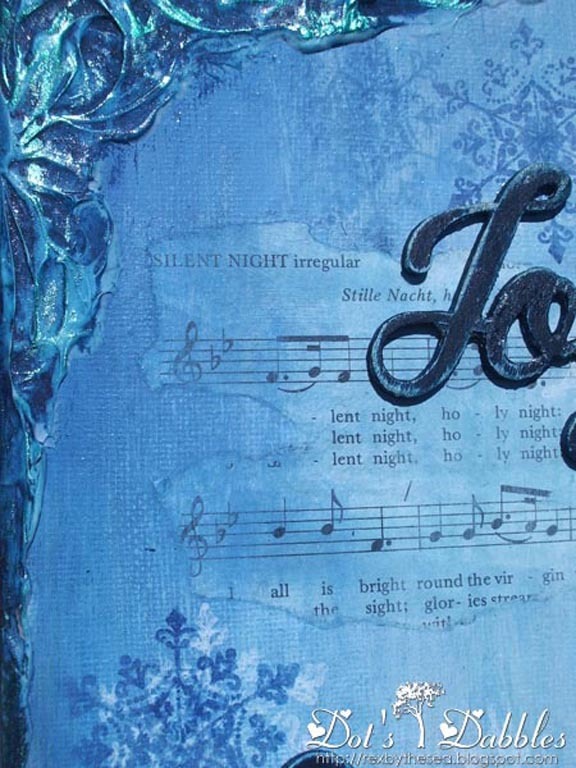 Beautiful canvas – I love the music built into the texture of the background, and the baubles look wonderful, sparkling in the light! I love how you interpret every challenge Dot, this is another stunner and oh so gorgeous. This is gorgeous and so tactile. Thanks for joining us at Ladybug Crafts this month.